Enter in the scores for your answers. 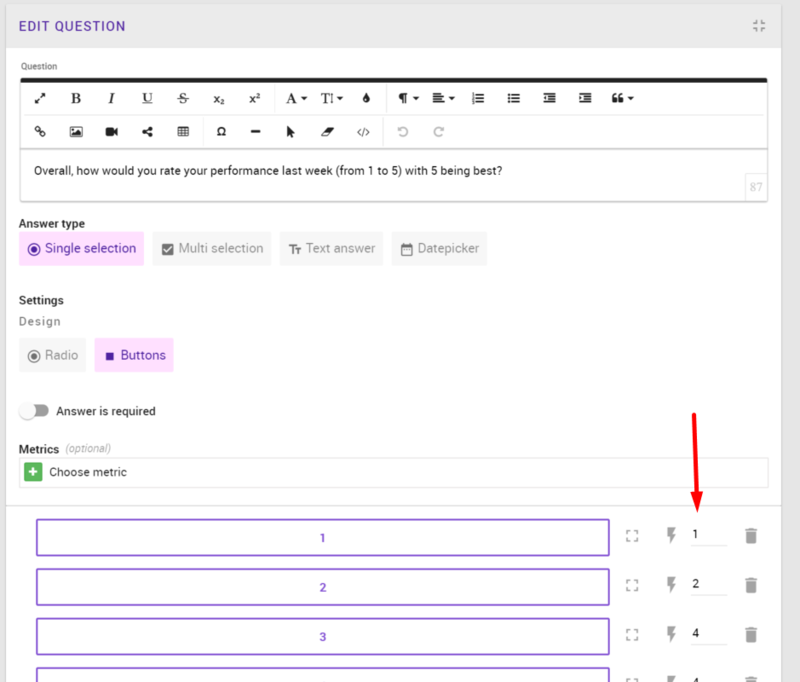 Note only Single-select and Multi-select question types have scoring. When the assessment is completed the score will on their completed assessment. The score and pass / fail status will also show up on the learner's activity report for easy filtering.